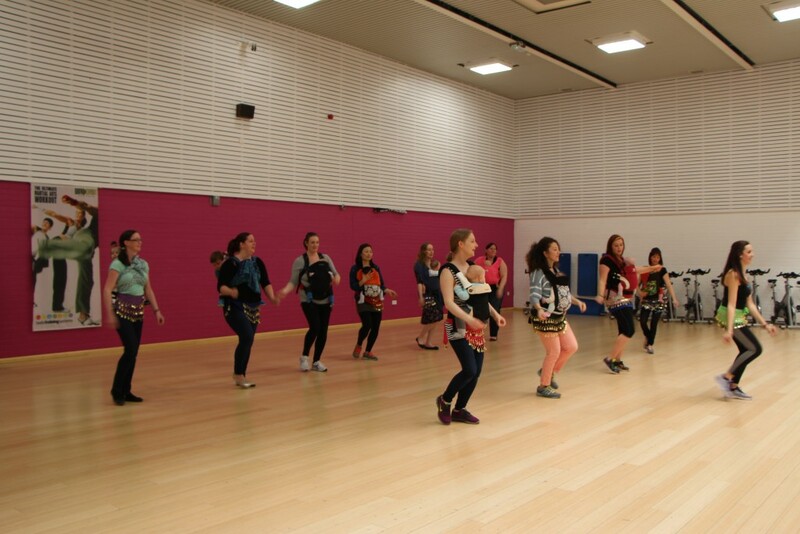 Wouldn’t you agree Babywearing Dance Week and Day were amazing! Everything we’ve seen and heard shows that it was a spectacular success, with families from 5 continents all coming together in spirit to celebrate the beauty, the passion and the experience of babywearing dance. A total of 18 different groups took part across the world to share the passion and visions of IBDD. It’s awe inspiring to think that even though we were all dancing in our own communities, together we created an energy, a buzz and a community feel, a collective movement of babywearing dancers and babywearers around the world. More than just about sharing the moment with our babies, (which of course is beautiful and very important), IBDD built itself on the promise to share babywearing dance safety and good-practice. And everyone who took part in IBDD really did take that on board. Just look at everyone’s websites, social feeds and videos and you’ll see how babywearing safety has really been brought to the fore. (We’re definitely honoured that everyone is sharing our PEACE and SAFE guidelines with their communities in order to promote safe babywearing dancing). And this year’s IBDD definitely made a lasting impression around the world, with everyone dancing the beautiful “Love is This” routine and working together to smash the Guinness Book of World Records for total number of people babywearing dancing to the same routine worldwide (we still have to get confirmation from the Guinness Book of World Records about whether we did in fact break it, but we’ll let you know when we hear from them). Either way, go us!! From all of us at Joimove, we want to send out a super huge thank you to the IBDD team. We’re proud to be co-founder organisation of this wonderful initiative and know it can’t have been easy getting an international week of celebration off the ground, so thank you for all your hard work and dedication. And to everyone who participated, watched and believed in IBDD, thank you too! Without you, IBDD wouldn’t have been as successful as it turned out to be. Here is the IBDD2016 video highlighting by all participants from 5 continents. IBDD, bringing the world together! With International Babywearing Dance Day and Week fast approaching, we thought we’d share with you some of the amazing stories from participating groups. Although participants are from around the world and each have their own cultures, traditions and beliefs, each of us has one thing in common, the desire to share the beauty of babywearing dance with the world. We hope you’ll be inspired to take part in your local event or to set one up with your group. Visit www.babywearingdanceday.com/events to see all IBDD groups and locations. Six months ago, inspired by videos of happy families dancing with their babies, Draag&Dans decided to introduce babywearing dance to their dutch dancing community. On 12th March 2016, using only social media to promote their new venture, the class in Alphen ann den Rijn, a small town in the west of Holland, saw 50 mums and dads make their way to their dance floor with their young children. It was a phenomenal success. Since that fateful day, Draag&Dans have been going from strength to strength, being broadcast on dutch tv, published in national newspapers and offering their classes in 55 dance schools across the country! Kristýna Krisulka Honkova, founder of Nesemese in Brno, is a mother of 3 (or four if you count Nesemese). This amazing resource launched two years ago, and offers a wide range of services for mums and babies, both indoors and outdoors. From babywearing workouts, dancing and babywalking nature walks to flashmobs, a small lending library and a babywearing and breastfeeding consultancy, there’s plenty of support available for local mums to access. Nesemese is part of the larger Brno babywearing community, the second largest in the Czech Republic, and considered one of the largest babywearing communities in the “Heart of Europe”. Motherhood brought dancing and movement to the next level for Amanda Holliday. Though already a dance and movement instructor with her own company, Bouncing Bambini, founded in 2014, it was after the birth of her own bundle of love that she started a babywearing dance class called, “Baby & Mombo”. Like most mothers on maternity leave, she found it difficult to find activities she could enjoy with her baby that also gave her the chance to be active and social with other moms. Taking up the challenge, Amanda watched online babywearing dance videos and consulted with local mums, local babywearing consultants, fitness professionals, and SelenYilmaz from Joimove, all of whom helped to convince her that babywearing dance was more than theoretical, it was something that could definitely be done! She is certified on pre-post-natal fitness and becoming certified babywearing peer supporter and babywearing dance facilitator soon. Amanda says “I love the fact that I’m helping mamas and papas bond with their little ones through dance. It’s great to see everyone dancing, smiling, and being active. I know that for me, my son is still the best dance partner; we love this time to snuggle and dance, so I know how dance can bring families together. If this didn’t inspire, what will?! There are some amazing groups from around the world taking part in the upcoming IBDD. We’d love to have you and your group join us, and to help us break the Guinness Book of World Records of the most people undertaking a babywearing routine in a 24hour period. Family togetherness, joy and dancing – what’s more wonderful than this? International Babywearing Dance Day (IBDD2016), on Wednesday 21 September 2016, is going to bring these things together to create a day of celebration around the world. Babywearing movement leaders and families from 5 continents are going to share the beauty of babywearing dance, cuddling, loving and active babywearing good-practice to everyone who sees them. And the celebrations aren’t just for one day. Expect a full week of festivities with dancing, workshops and gatherings taking place around the world throughout the week of 18th-27th September. IBDD is a great example of collaborative working. Back in May 2016, Armelia in Singapore (CoolmumzDancin), Selen in the UK (Joimove International) and Meeshi in the USA (Groovaroo Dance), got together online and started to plan for this amazing week. It’s not easy collaborating internationally. With meetings often being in the early morning / late night (midnight in UK, very early morning in Singapore and 2am in USA), there’s no easy time to catch up. But despite this, the love of dancing and a firm belief in the benefits of babywearing dancing has inspired the founders to work through this time difference to create IBDD. After deciding on the song “Love is in the air”, each IBDD founder choreographed and recorded part of the routine individually. The three parts were put together, and “Love is this” was born. With successful trial runs of the dance in May 2016 in Turkey, USA, Singapore, Lithuania and Scotland, this beautiful gift of movement was set to be the anthem for IBDD, and ready to share with families around the world. There’s plenty going on in the world today. With violence, hunger, selfishness, discrimination and hate at our doorstep, it can often be difficult to see the good in the world. And adversity isn’t just a larger social construct. If you follow Meeshi, Armelia or Selen, you’ll know that life, though continuing on, has its own difficulties and issues. That’s why IBDD is such an important focal point of love, compassion, empathy and acceptance. IBDD celebrations are a positive way for the world to break from misery and a movement which the world needs. We’re so amazed at the response to our call to dance. 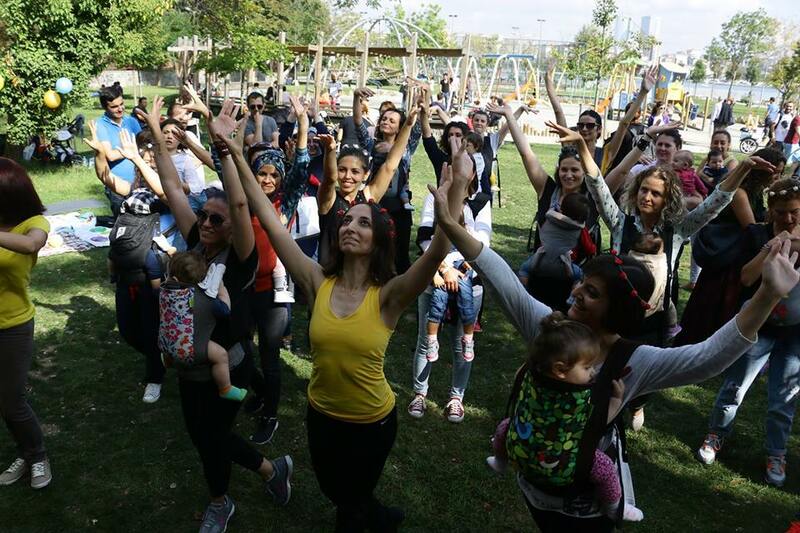 It’s wonderful to see how the idea of dancing for a common goal, sharing positivity and love with babies has reached thousands of people in the first week of promoting IBDD alone! Now, communities in 5 continents are getting ready to celebrate IBDD and more registering every day. It’s wonderful to see how our volunteer initiative is blooming. 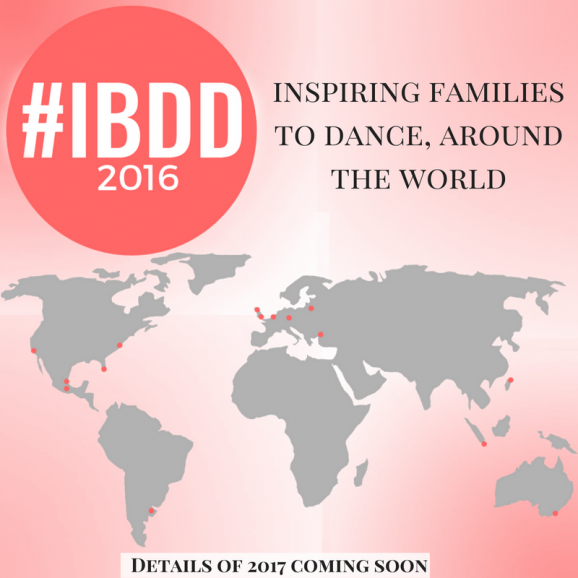 Not yet registered your dance group to take part in IBDD? Visit the IBDD2016 webpage and register today so you can also take part in our Guinness World Record attempt of the most people participating in a babywearing routine in 24 hours. Be part of something big. Remember, to always keep in mind the PEACE and SAFE babywearing guidelines to ensure both you and baby are safe and comfortable. Beware of narrow based carriers, loose wraps, carrier too big or too small for baby and unfitted straps. If in doubt, get in touch with your local sling library or consultant and find a carrier that’s suitable for you. Keep safe, dance full of joy and love hard. Happy babywearing and Happy dancing to all of us! Visit www.joimove.com/safety to find more resources. This is our motto: “Never miss a chance to dance!” but with our little ones, safety comes first! We love all dances, especially babywearing dance. We believe it’s the key to creating strong emotional, physical and intellectual bonds with our baby, a way to communicate love through movement. While dancing and movement is the main activity, doing it safely comes first. Everybody, including baby, needs to feel comfortable, calm and safe. Without this, there is some sharing the moment but less learning, less comfort and less joy. Anyone who danced with us during our Dance with Babies classes will remember that movement safety was much more of a concern than babywearing safety. However through training, developing safety formulas with experts, better understanding and education, we’ve learned that the safety of baby and wearer is actually the most important part of any class, even more important than the dancing itself. That’s why all of our Instructors are taught about post natal health, the PEACE babywearing dance guidelines and the importance of environmental safety. We know it’s not safe to see baby dangling in a sling as you’re dancing. We know it’s not safe to see baby in a sling that’s too big or too small when you’re dancing. We know it’s not safe to see baby’s head and neck swinging around as you dance to the music. We know it’s not safe to bounce, jerk or jump to the music when baby is in your sling. That’s why all of our Instructors are equipped with knowledge to help class participants and babies feel safe and happy. And it’s not only about baby’s safety. We know that if the wearer is uncomfortable, feeling sore or hurting than the experience won’t be a positive one for baby or wearer. Not only that, but wearing baby incorrectly or in an ill-fitting carrier can cause pressure to yours and your baby’s spine. It’s also not only about physical safety. Environmental safety, hearing safety, movement safety, women’s health and baby development are also key. While you can change your environment, stop if sore or take a breath if too hot, our babies don’t have that option. They can’t lower the music if it’s too loud or turn down the heat if it’s too hot. They can’t take off a jumper if they’re getting too sweaty or tell you they’ve had enough, using words. It’s up to us, as Joimove Instructors and as caregivers, to ensure a safe environment to live, laugh and learn. Unfortunately, we know there are many classes out there that don’t consider safety in the same way that we do. We see them online, on TV and have witnessed them in person. Perhaps the instructors are thinking that ensuring the babywearing TICKS is more than enough to keep baby safe during their dance or exercise class. Or maybe they think “oh it’s only 30 minutes, what can happen”? Worst of all, maybe they just don’t know even there is a babywearing safety issue at all. That’s what makes Joimove different. We understand the importance of safety for every class participant; from baby to grandmother. We work hard to ensure every one of our classes, workshops and events are safe. We take safety seriously and share our knowledge with you through our Joimove International School of Dancing team and programs on how to make dancing with your baby a beautiful and wonderful experience. It should be everyone’s responsibility to be self-aware of safety. Let’s remember to support our baby’s head, neck and spine when dancing. Let’s take care of our own spine and joints so we can dance without pain. New moms, let’s give our bodies time to recover and revitalise after birth. Dress in layers, bring fluid for hydration and ensure the room isn’t too warm. But most of all, let’s make sure we feel safe, we feel secure and we feel comfortable when we are dancing, exercising or leading these sessions.